President Duterte is probably the most popular President the Philippines ever had. Proof? His soaring performance ratings say it all. 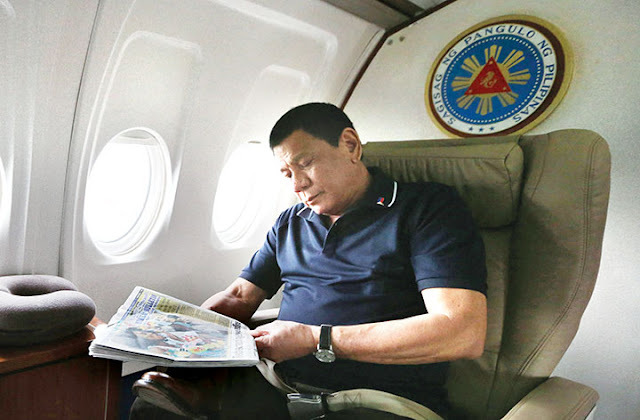 Rodrigo Duterte, prior to becoming President, was a long-time mayor of Davao City in Mindanao. 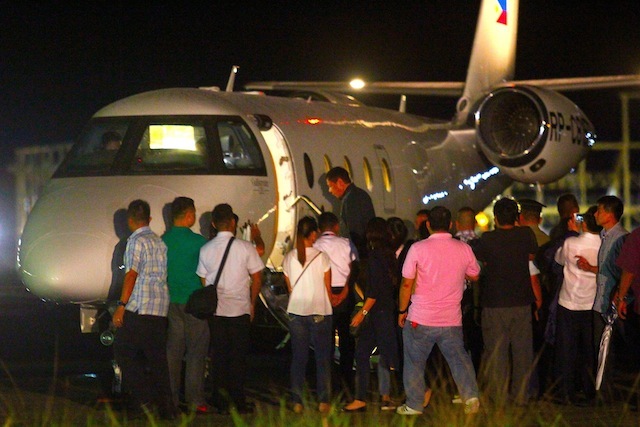 He, together with his family and entourage, boarded a private plane (pictured below) from Davao City to Metro Manila for his inauguration rites. 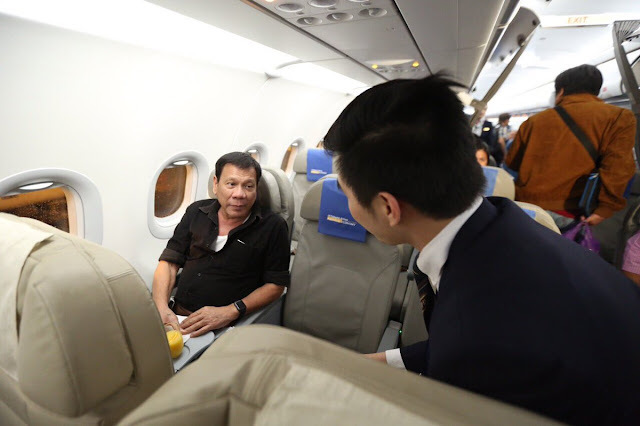 That was the last time he boarded a private plane. 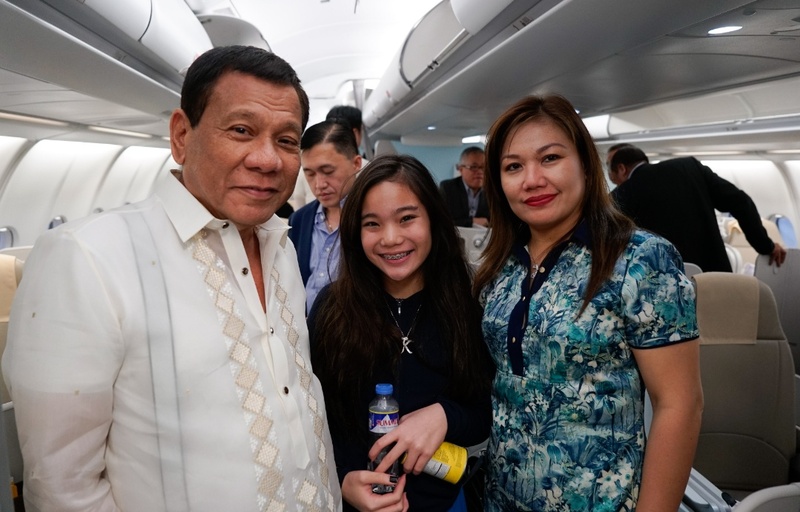 The moment he assumed the Presidency, the task of transporting him was immediately transferred to the The 250th Presidential Airlift Wing of the Philippine Air Force whose primary function is to transport the President of the Philippines and the First Family. On occasion, the wing has also been tasked to provide transportation for other members of government, visiting heads of state, and other state guests. 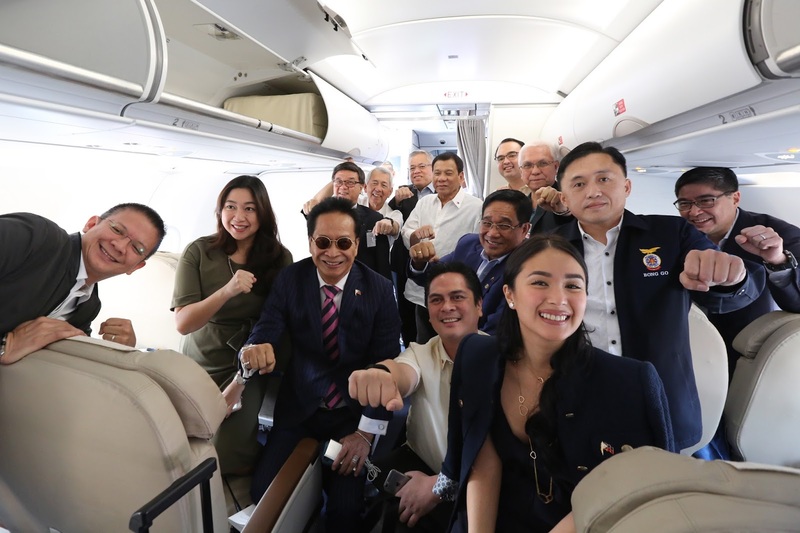 Kalayaan One is not a specific aircraft, rather, it is the designation given to any aircraft currently carrying the President of the Philippines. 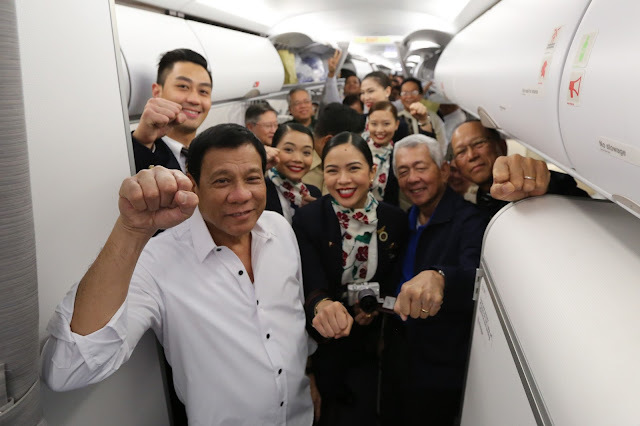 The 1 Fokker F28, which is primarily used for the President's domestic trips and it is also called Kalayaan ("Freedom") One when the President is on board. The fleet also includes 1 Fokker F27 aircraft, 4 Bell 412 helicopters, 3 Sikorsky S-76 helicopters, and 1 Sikorsky S-70A-5 Black Hawk. 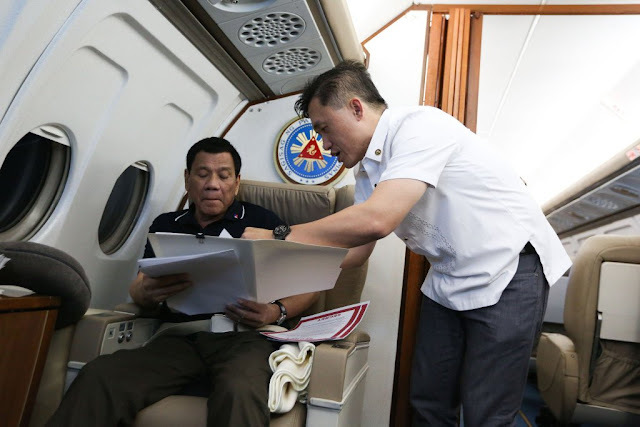 Inside the presidential plane: Duterte gets briefing papers from assistant Bong Go. For trips outside of the Philippines, the President uses a Learjet 60, Challenger 850 or charters appropriate aircraft from Philippine Airlines. 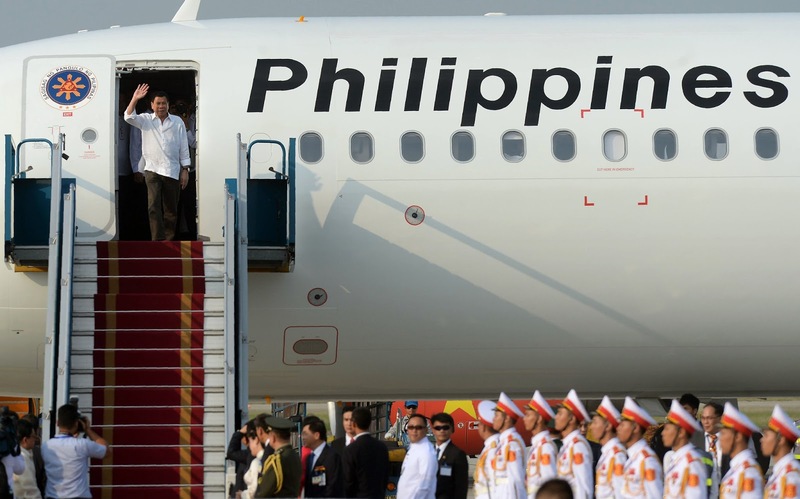 Philippine Airlines Flight 1, an Airbus A321-200, carrying President Rodrigo Duterte at the Francisco Bangoy International Airport in Davao City, Philippines on September 5, 2016. 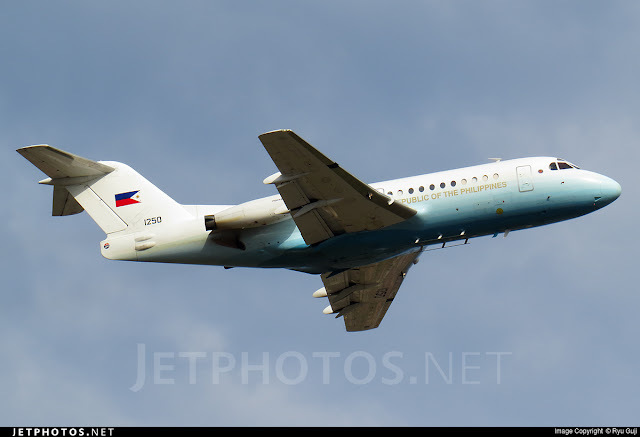 The aircraft with the flight number PR/PAL 001 and callsign PHILIPPINE 001 is a special aircraft operated by Philippine Airlines to transport the President. 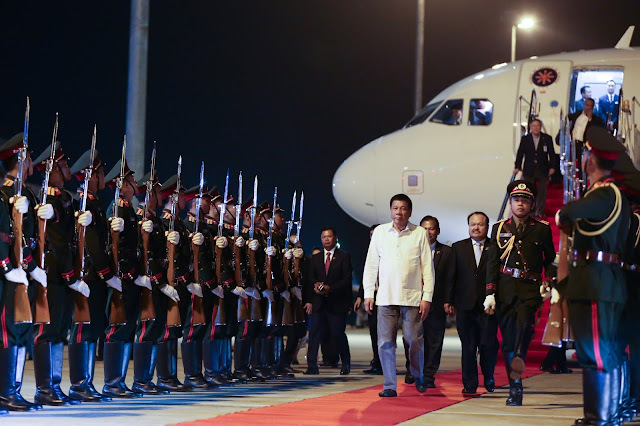 President Duterte's arrival in Vietnam. President Duterte on board Kalayaan One. The President's seat has the Presidential Seal. During the Second World War, the presidential aircraft was a Mitsubishi MC-20. In the 1950s, PAF Douglas C-47 Skytrains, which were named Mount Pinatubo and Pagasa ("Hope") were used for domestic flights. Prior to 1962, the Air Force chartered aircraft from Pan American World Airways as the international services of Philippine Airlines were suspended. In 1963, the Pag-asa was renamed Common Man. 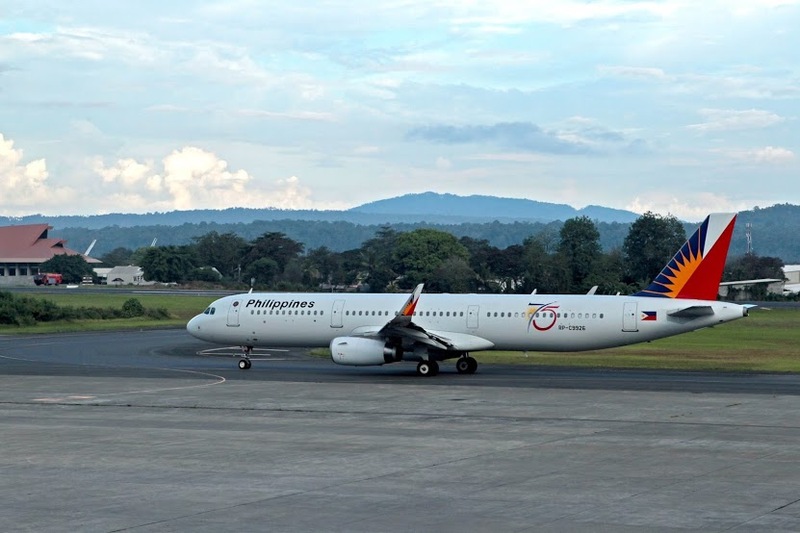 Airbus A320 and Airbus A321 are being used for short-haul flights. While the Airbus A340-300, Airbus A330-300, Airbus A350-900 and Boeing 777-300ER are being used for medium-to-long haul flights. 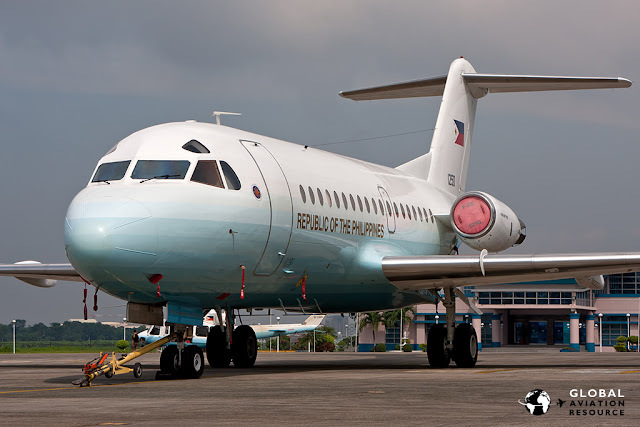 In 1986, the squadron of presidential aircraft consisted of: one Boeing 707, one BAC One-Eleven, one NAMC YS-11 and one Fokker F28 Fellowship airliner; along with one Sikorsky S-62A, two Bell UH-1N, one Aérospatiale SA 330 Puma and two Sikorsky S-70AS helicopters. More photos of the President and his entourage during his official trips abroad. 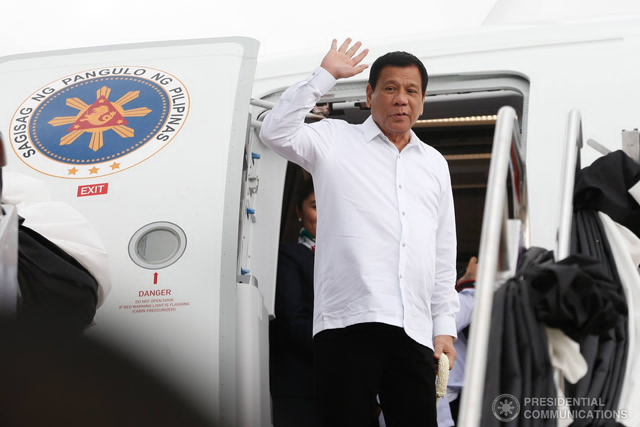 President Duterte's arrival in Moscow, Russia on board Kalayaan One. From the frontlines of battle to the presidential plane. 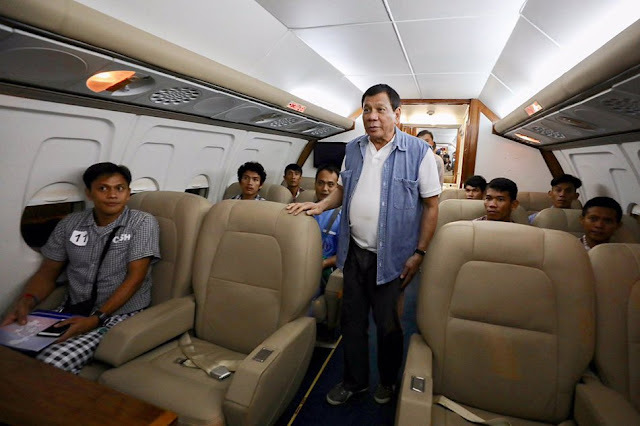 President Rodrigo Duterte took nine wounded soldiers with him aboard the presidential plane on the way to Manila after his visit to troops at Camp Evangelista in Cagayan de Oro City. 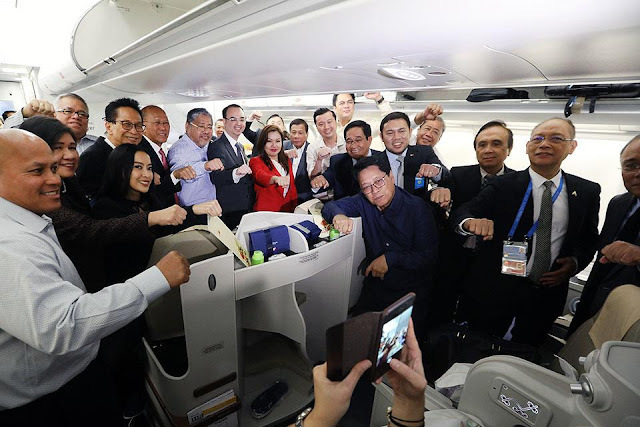 Palace officials said the President himself walked with the soldiers and rode with them on an ambulance on the way to the airport. 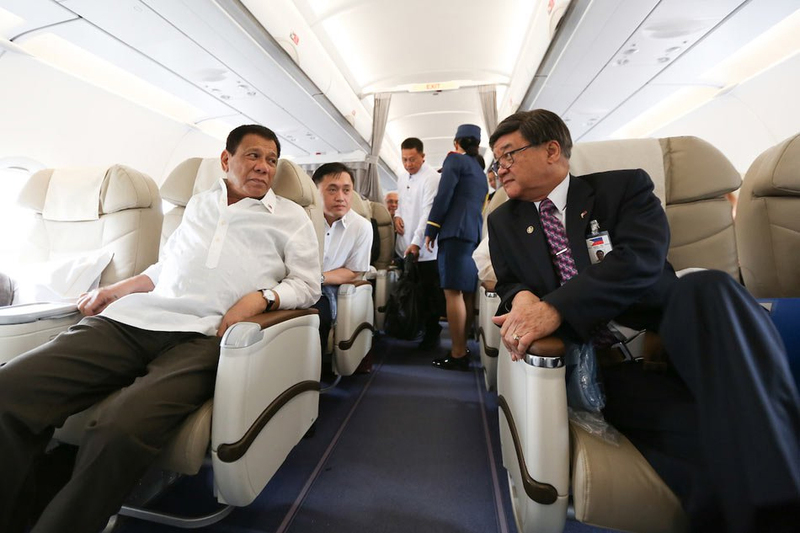 They then boarded the F-28 presidential aircraft.